Diamond is said to be woman’s best friend. This piece of stone is extremely precious and is formed under the extreme pressure in the earth. The experts know how to recognize their origination as they have certain birth marks. Although they are imperfect at a certain extent but that is what determines its value. A regular person may not understand its value so easily and that is Diamond clarity chart is used. There are different types of Diamond clarity charts templates that can be made on word. 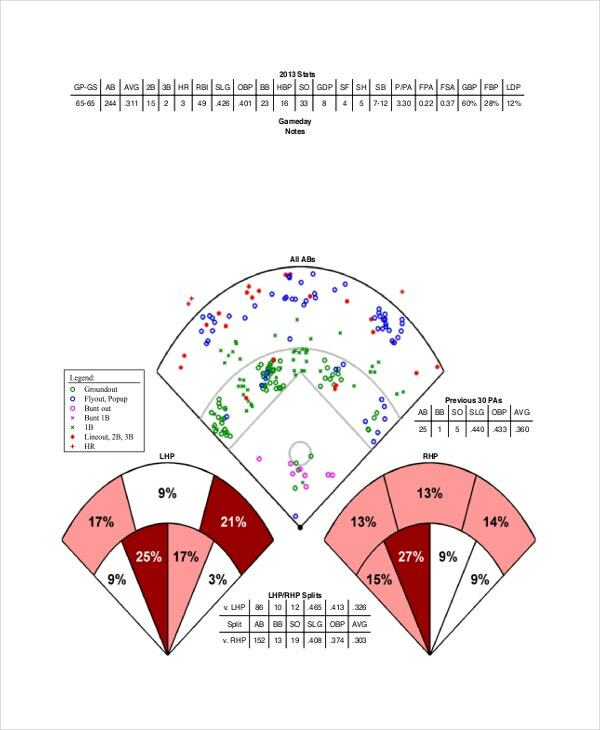 The good part is some charts templates are easily downloadable through internet. You can also see Pareto Chart Template. > What is Diamond Clarity Chart? 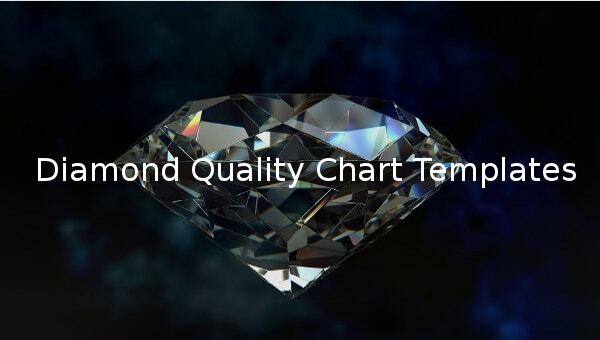 If you search online for Diamond clarity charts in word, you will find thousands of templates that are well designed and professionally made to sell the business. These templates are designed in an easy manner so that a person can understand what the imperfect degree of a diamond is. If it blemishes more it means it is not that clear. These charts of word format give an explanation on how perfect the diamond is and accordingly allow you to know on what basis has been the value set. 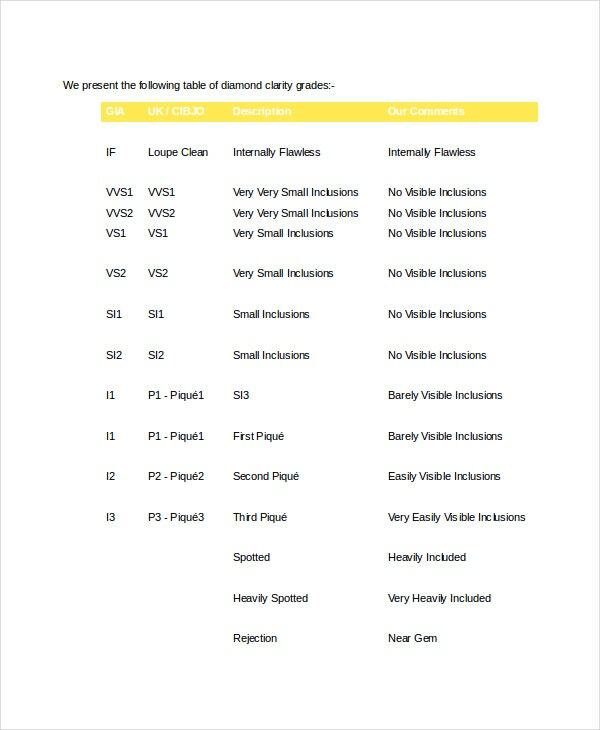 It is not difficult to choose the Diamond clarity chart for word. With so many samples available online it is pretty confused to choose the right one for your website or the business where you are planning to use. There are also Diamond color and clarity grades templates for word document which would determine the stones price. Such charts templates explain the difference between the grades. That is why when you look for free download option make sure you it is clear and readable. Some charts templates are designed in such a way that it can be used for Microsoft word, PSD, PDF, and for RTF by simply changing the properties. These charts Free Templates in Word are free to download and can be saved in ms word format with a one click. 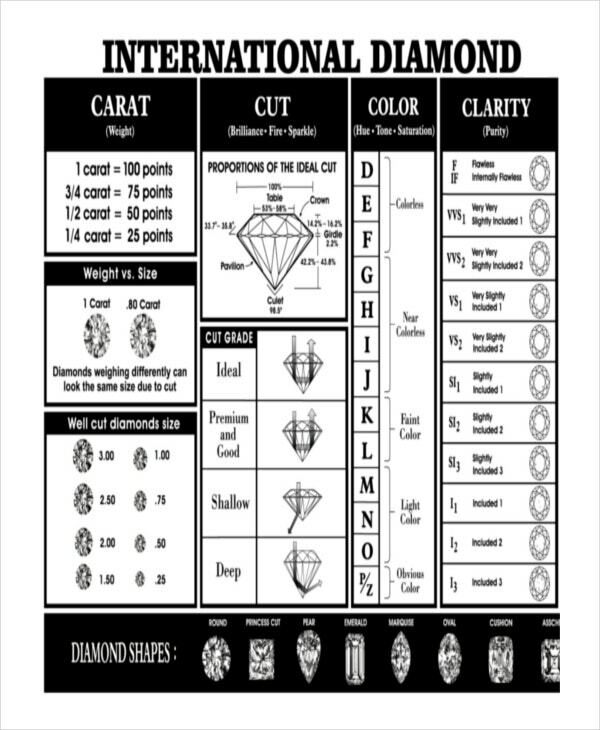 To make the diamond shopping an easier task, there are different templates of diamonds clarity charts. These templates are high quality images that can help you decide which is the right piece of diamond to invest. These images can be saved in world file and viewed in other formats as well. A diamond cut enhances the color of the piece and makes it either dull or clear. Along with the clarity chart, you should download the color chart that is available for Word 2010. 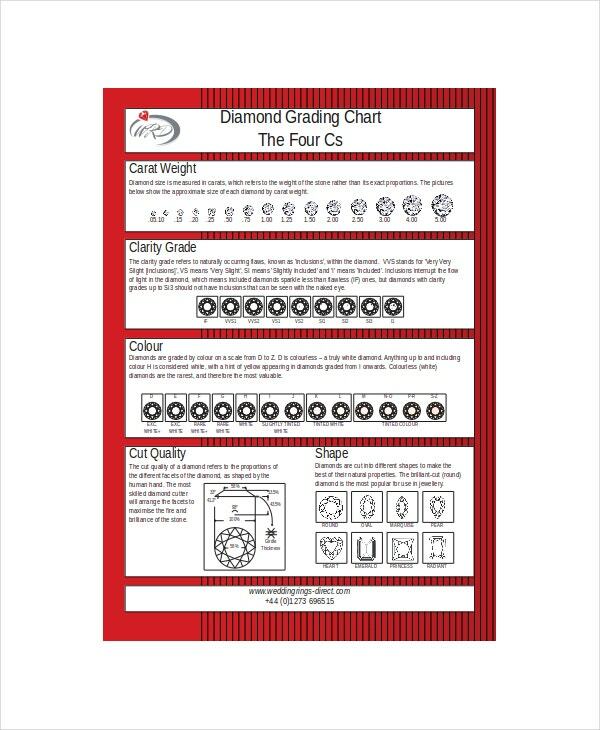 In diamond clarity charts templates, you will see differ grades such as Internally Flawless (IF), Flawless, (FL), no inclusions visible, and inclusions slightly visible. For accurate diamond clarity assessment choose from good quality yet clear chart for diamond templates.